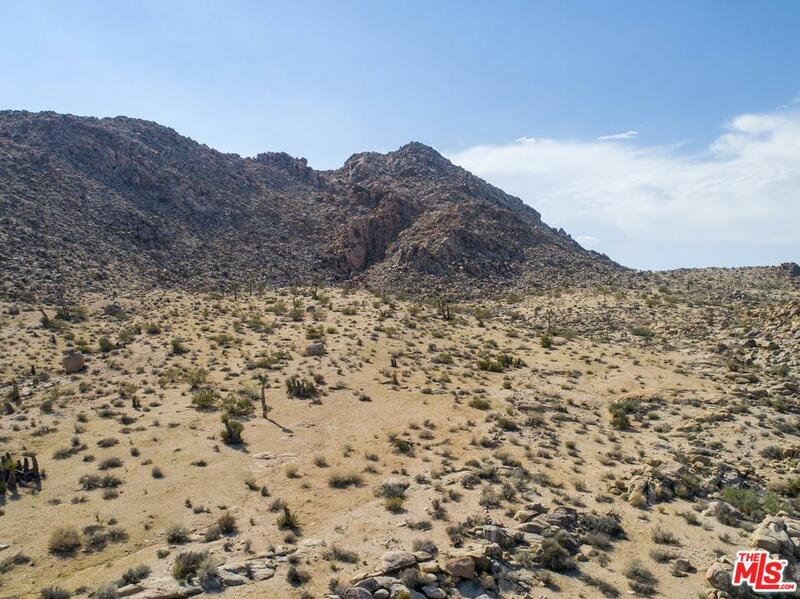 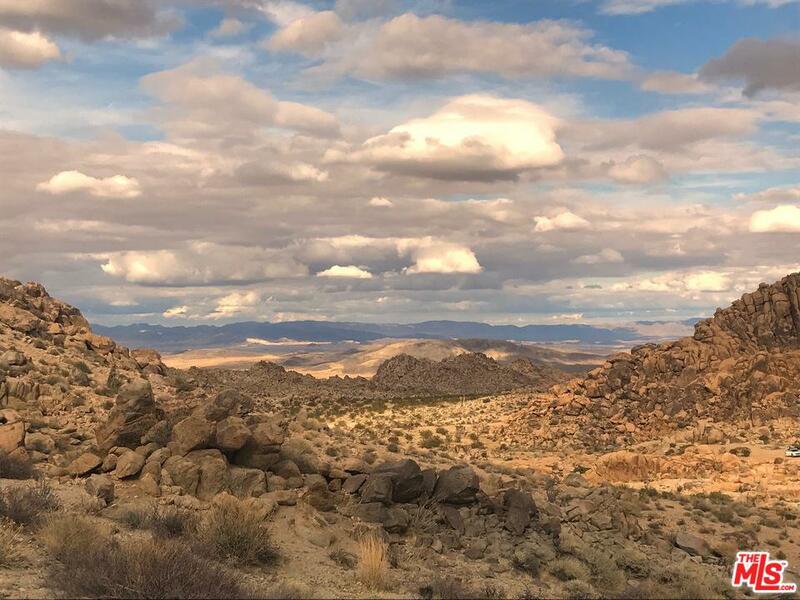 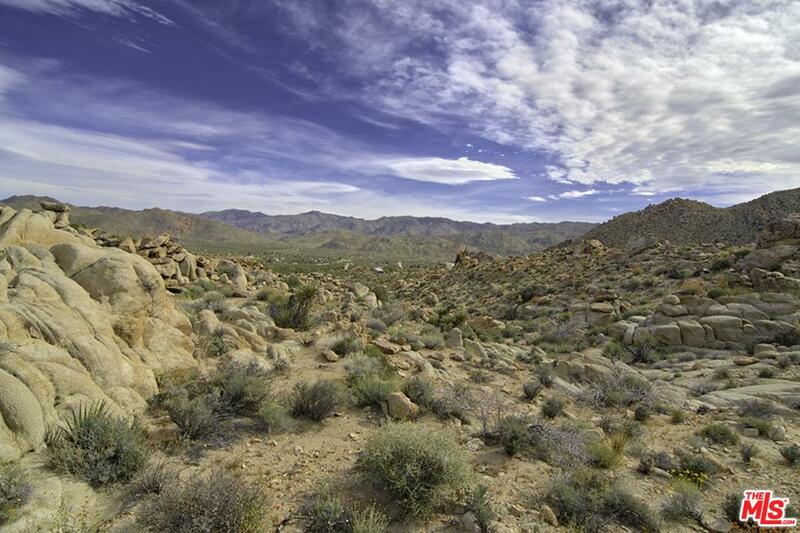 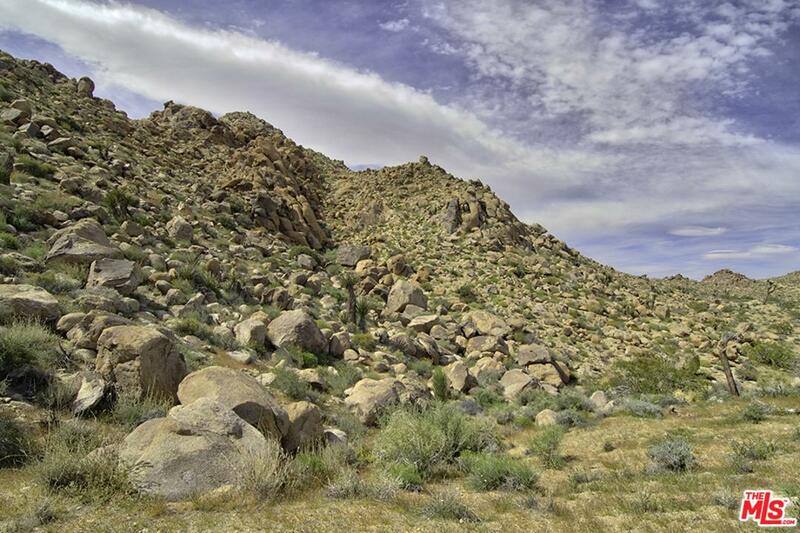 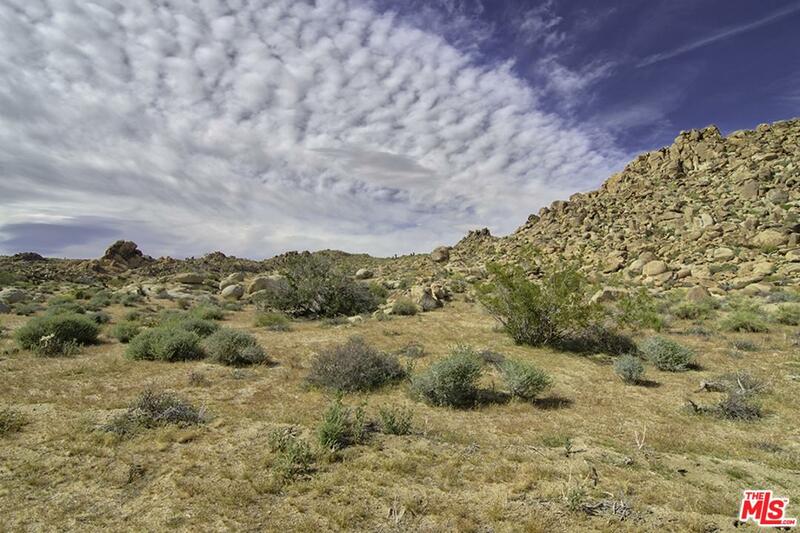 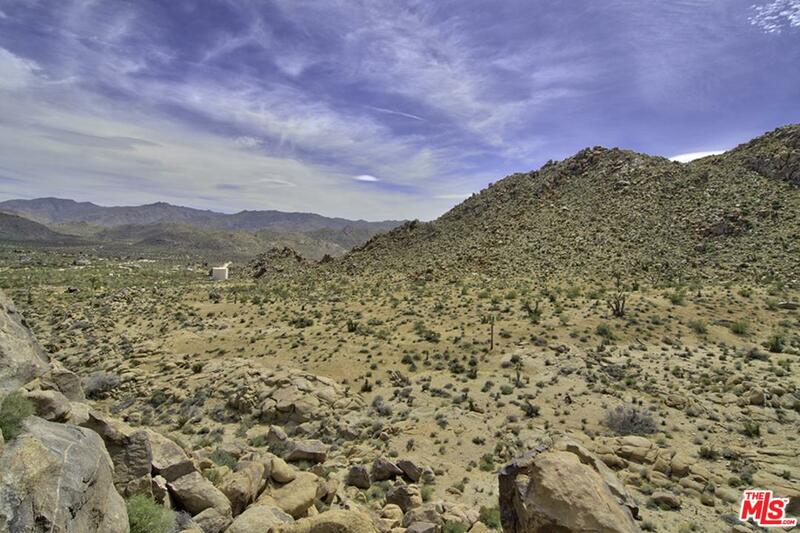 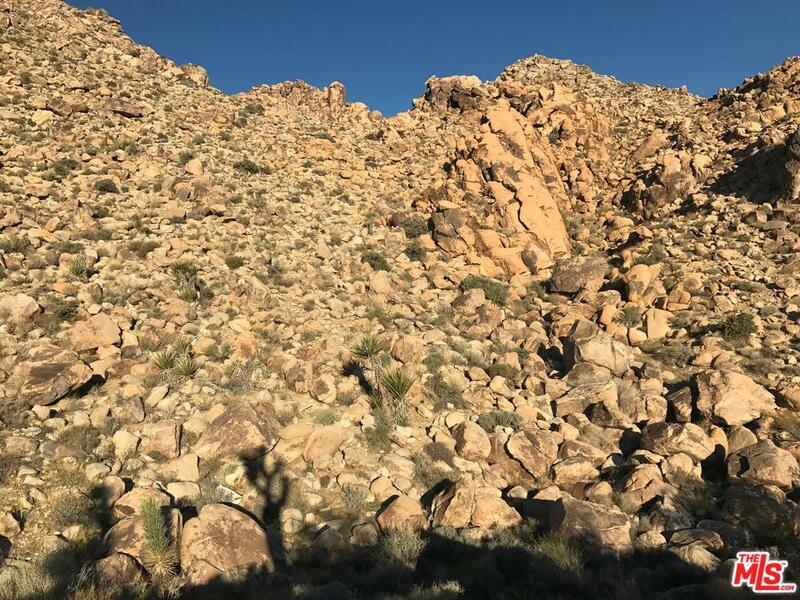 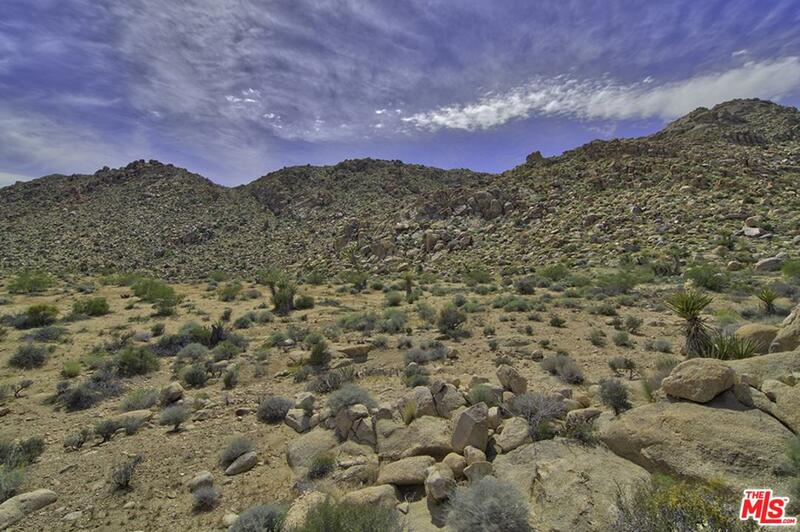 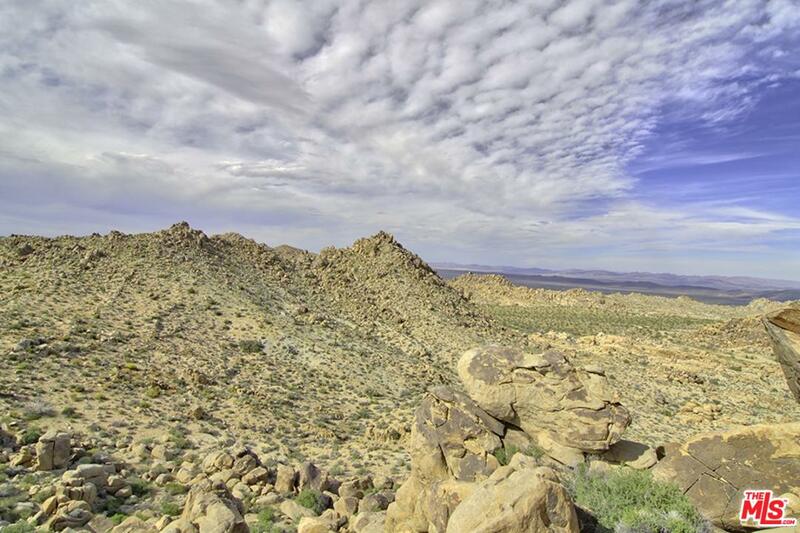 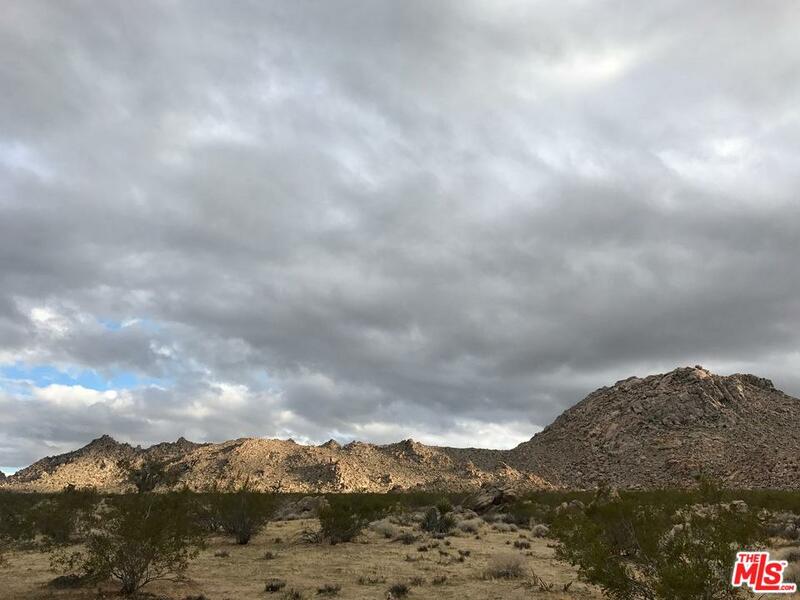 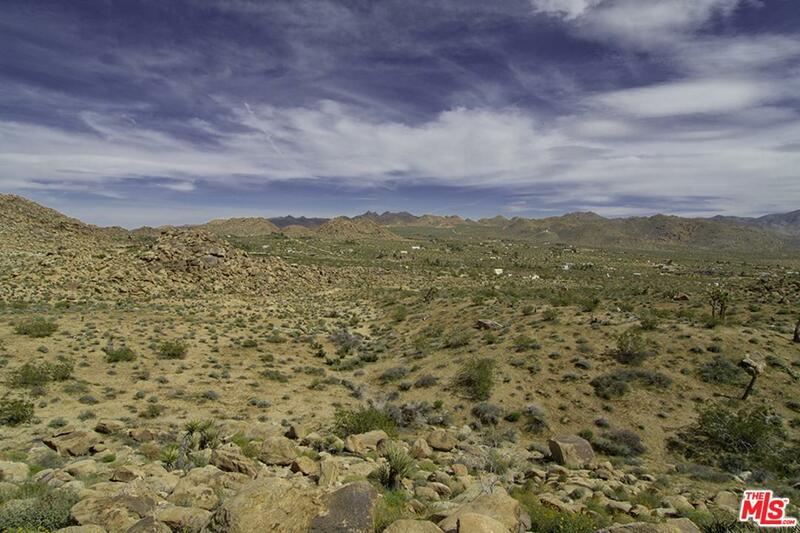 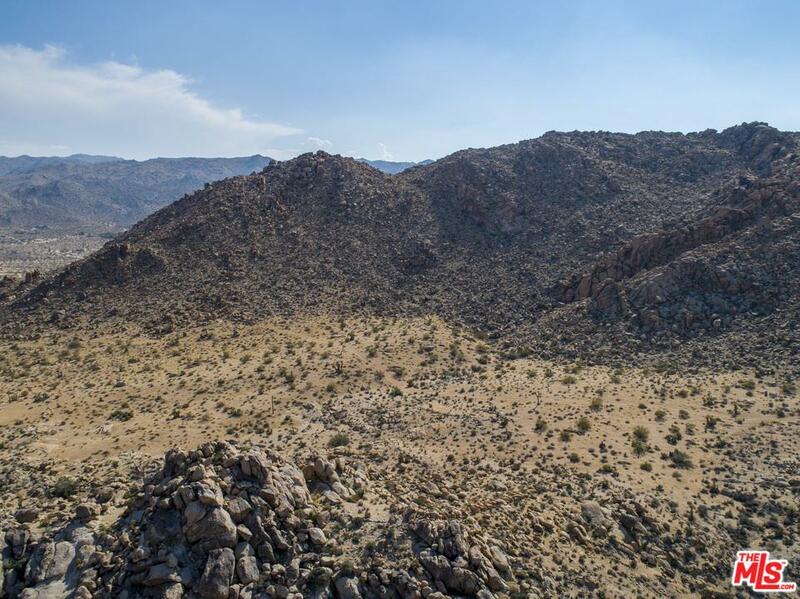 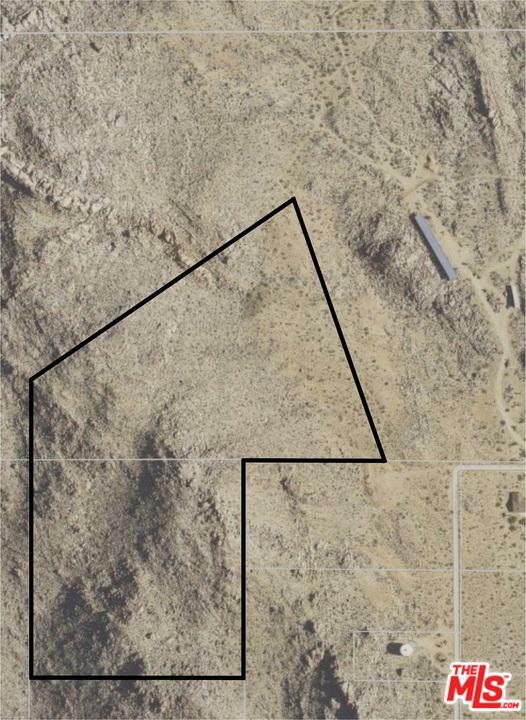 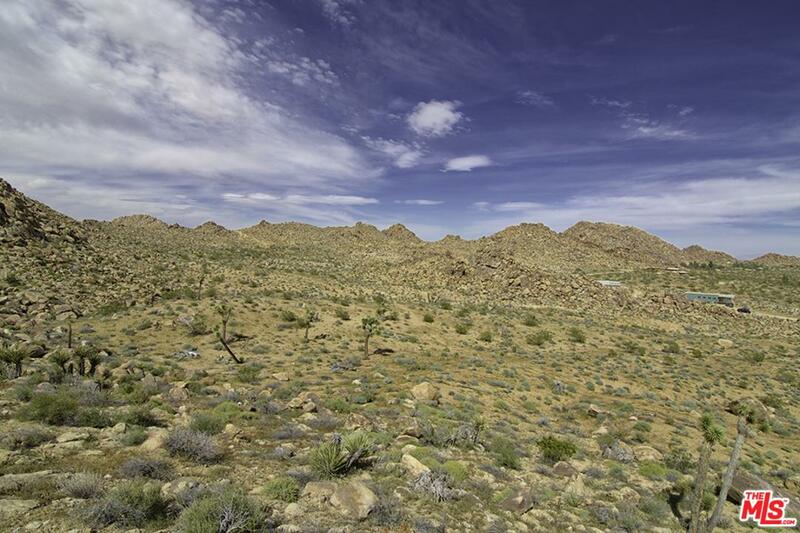 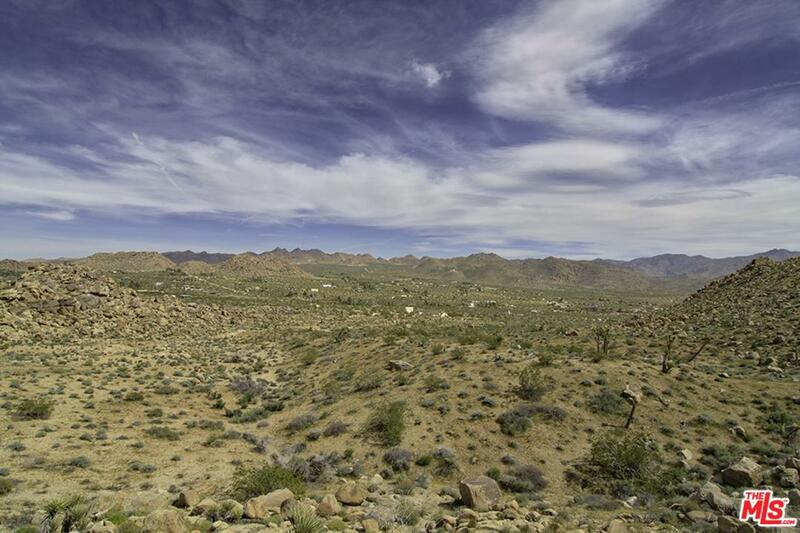 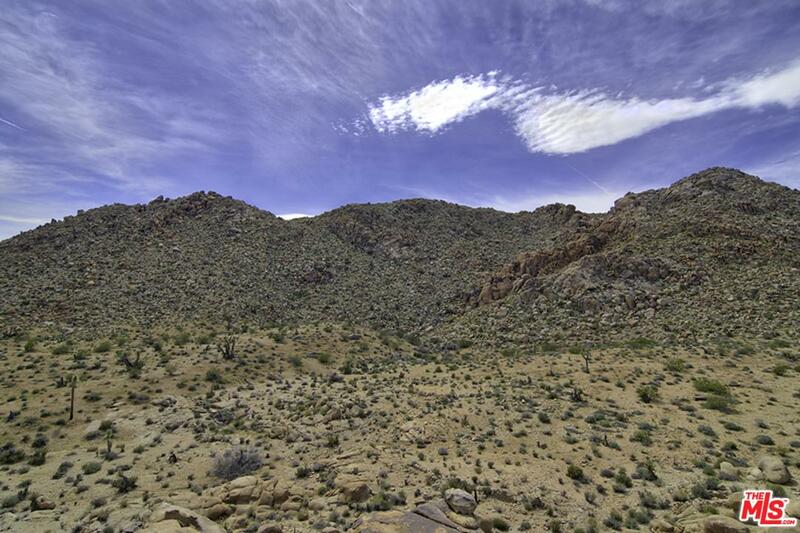 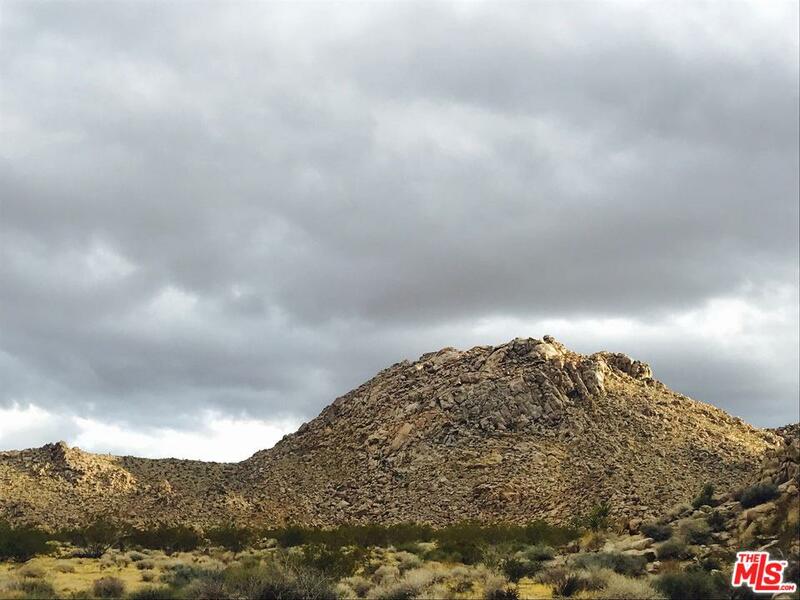 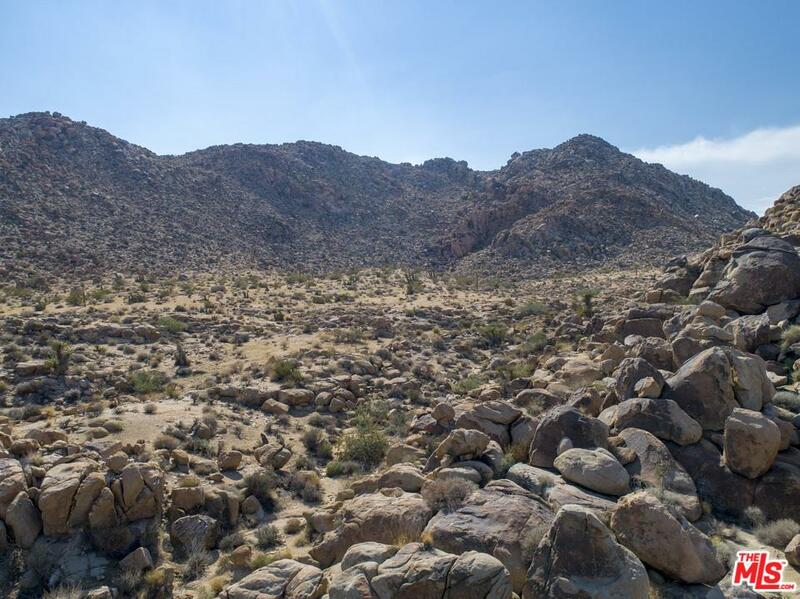 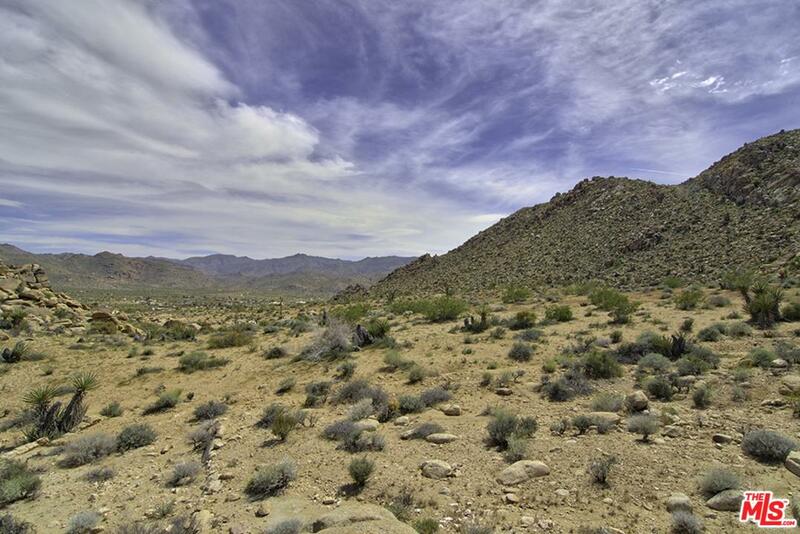 Less than 1 mile from the entrance to Joshua Tree National Park lies 22.5 acres of unparalleled natural beauty positioned at the finest point in Monument Manor. 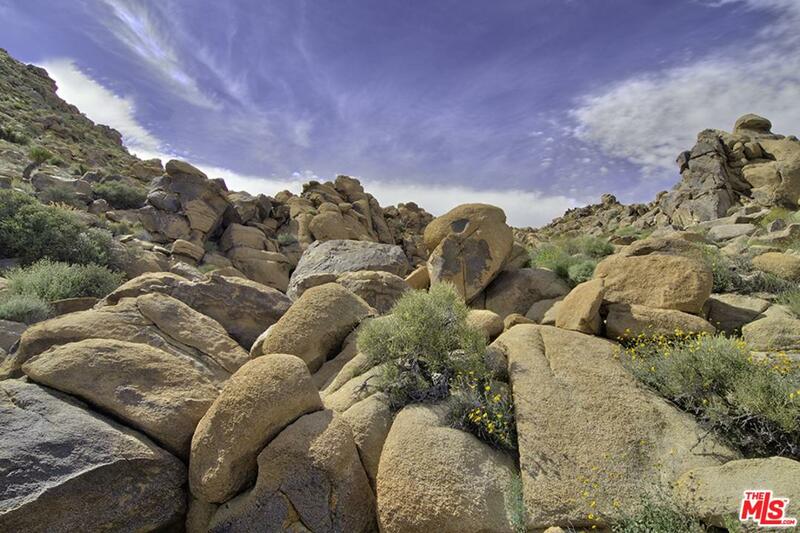 Incredible and enormous rock formations plus your own private mountain for hiking and rock climbing. 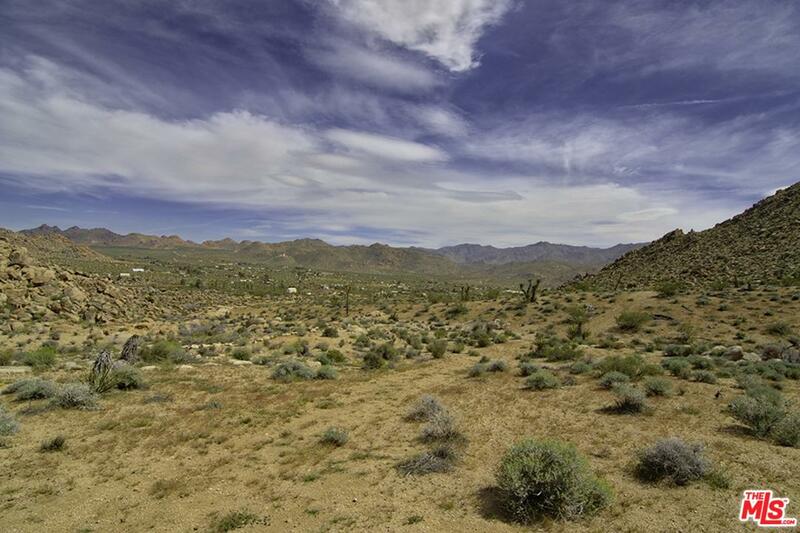 Ideal for horse owners, with access to neighboring trails. 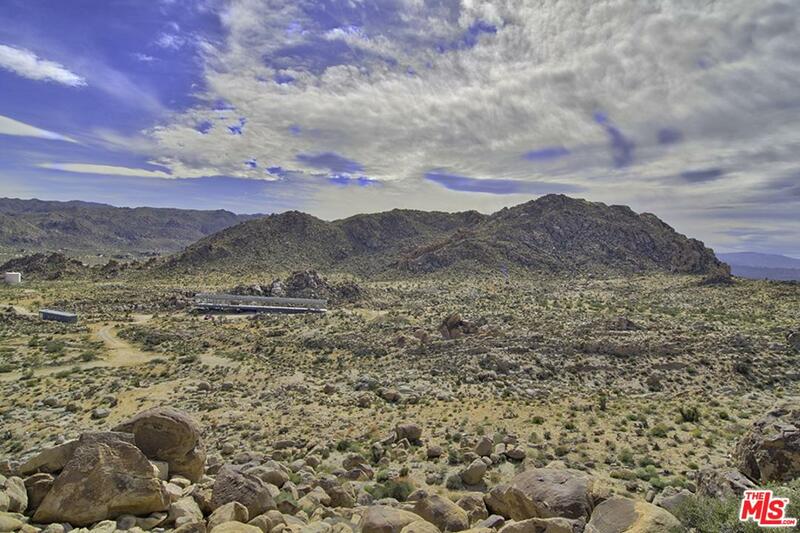 Panoramic basin views that rival Key's View at your highest point for spectacular stargazing. 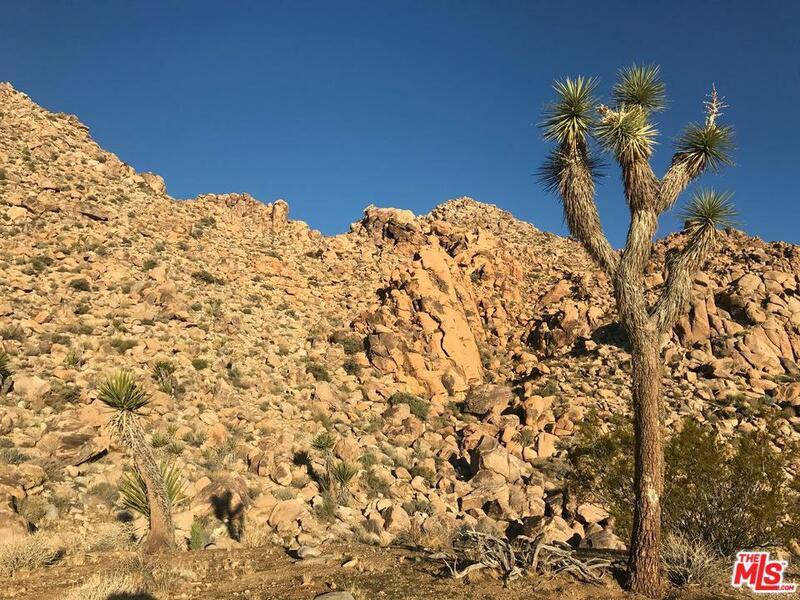 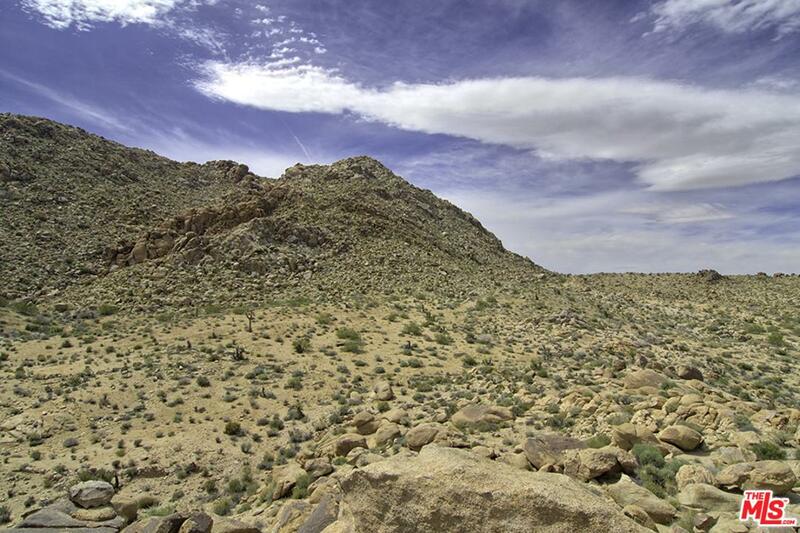 Hundreds of Joshua Trees cover this unique land offering. 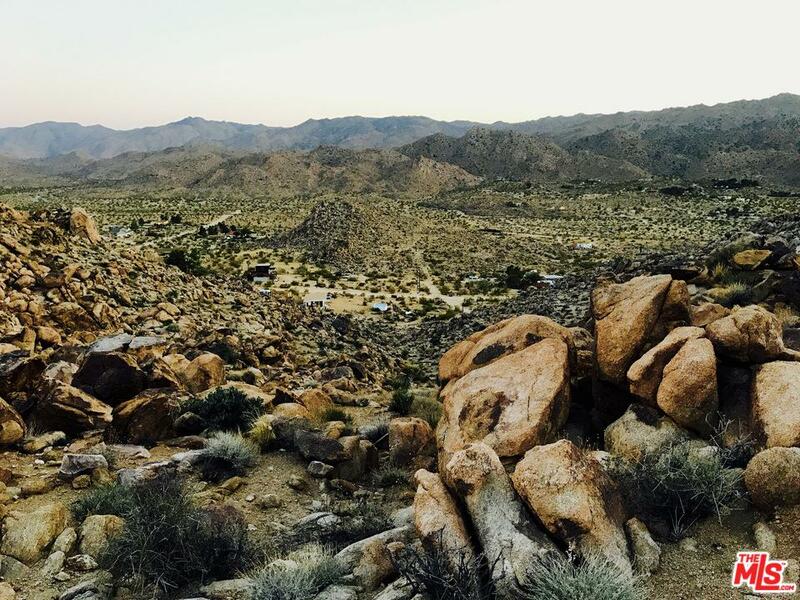 Perfectly suited for those who seek tranquility for their spiritual, meditation or yoga practices. 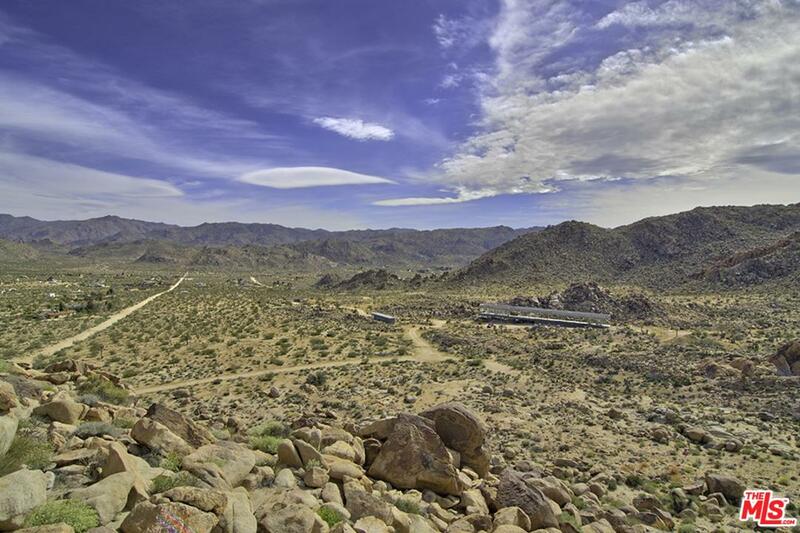 Build multiple structures with multiple flat sites to choose from that offer both astonishing desert scenery and privacy. 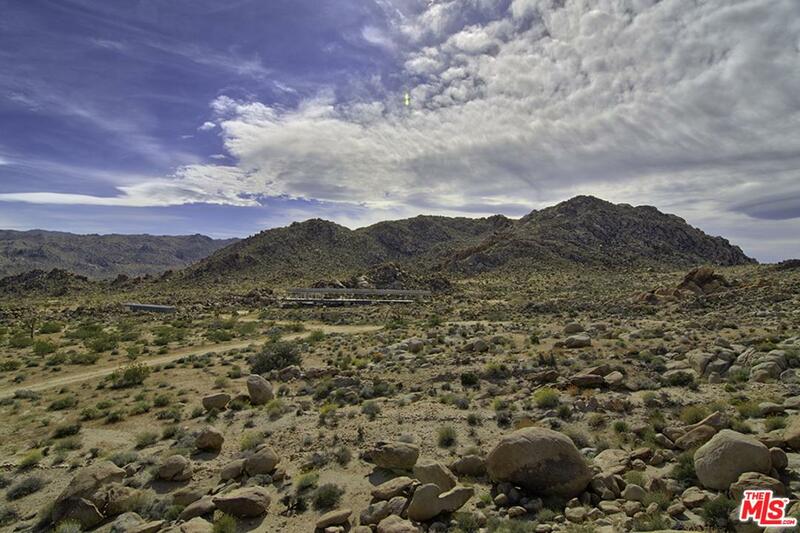 Convenient for Burning Man and Coachella, why not host your own festival or after Burn party? 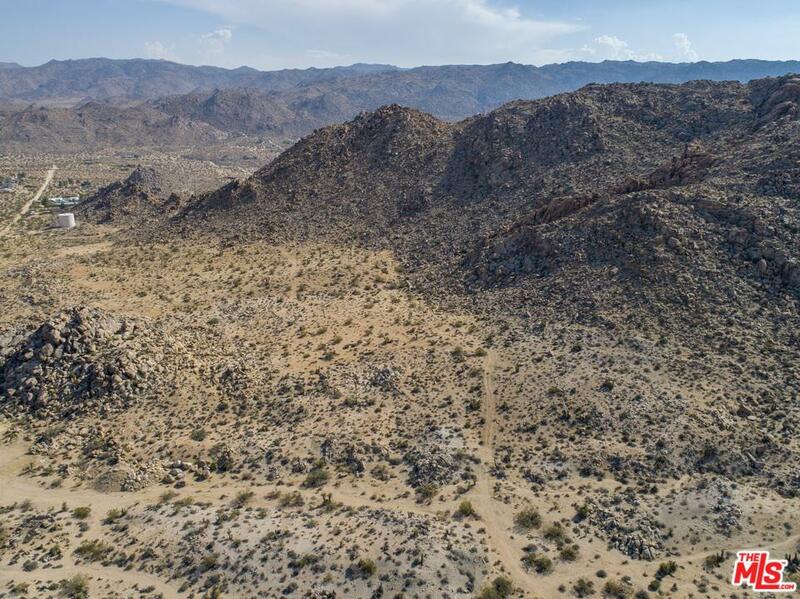 The height of rare and natural beauty and an incredible and practical site to plan and build your dream compound or weekend getaway.